In our Press Service section we provide you with regularly updated information on many exciting topics in the areas of travel, culture, lifestyle, food, music, scene and economy. All texts and listicles can be freely used for inspiration and or sharing with your readers. 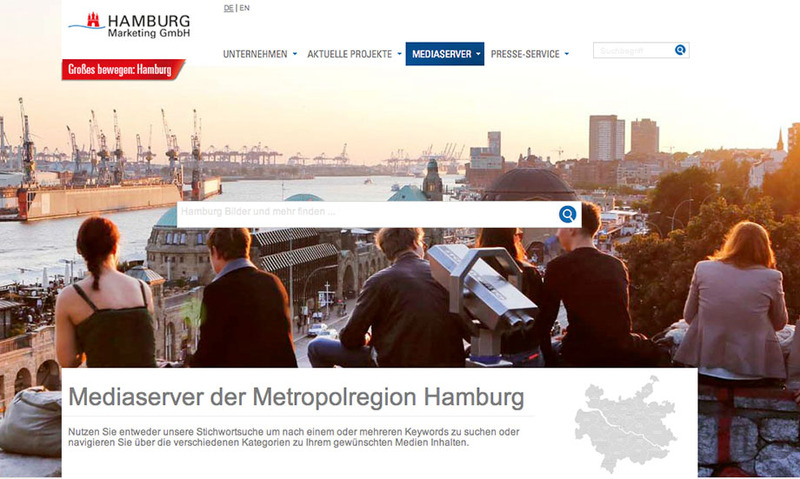 The same applies to our Hamburg images that can be downloaded on the Media Server for press purposes. Or maybe you would like to share a blog post about Hamburg with us? Please let us know! For bloggers who want to travel to Hamburg, we are pleased to provide individual advice and the right contacts to our numerous partners in the city. Since we have a good relation with many people, institutions, hotels and restaurants, we can offer you free admission and sometimes exclusive access to many locations, museums, concerts, theaters and the like - and thus help you generate exclusive content for your blog. If you wish to be informed about news from Hamburg and our current offers for bloggers, send us an e-mail with the tag "Moin from Hamburg". In this newsletter we also tell you about our irregularly occurring Blogger Events in Hamburg and other locations. For questions regarding your individual interests our team is happy to help - we look forward to your ideas and projects and you coming to Hamburg! Hamburg as a food destination was a surprising revelation for us. The blue waters of the River Elbe and the North Sea have nourished and sustained Hamburg for centuries. Do you like to explore cities through your stomach? Great. You’re reading the right blog! You should definitely consider Hamburg as the venue for your next foodie shortbreak in 2019. Ever spent a long weekend in Hamburg? In Europe, it’s incredibly easy to spend a weekend away in different locations in order to get a taste test of that location. Recently we popped over to Hamburg Germany to check out the food scene and to discover what’s going on with craft beer in Hamburg. Above the beautiful medieval churches, the canals and all the must-dos of Hamburg, if you want to see another side of the city, Sternschanze neighbourhood is the place to be! Usually referred to as Schanze. One of my most read articles in the blog is the Madrid’s Malasaña guide, well let me tell you that Madrid has some serious competition in terms of cool, alternative, hipster districts. Hamburg is the second largest city in Germany with a small, but growing food scene dominated by young chefs. The city is also sprinkled with specialty coffee shops. I have gathered all my Hamburg recommendations in this foodie map. I’ve now lived in Hamburg for 2.5 years and I fall more in love with the city every day. Even though it’s Germany’s second-largest city behind Berlin (yes, even larger than Munich), it’s still an under-the-radar destination for many people outside of Germany. My favorite hotel in Hamburg is Tortue. This beautiful hotel is luxurious, wonderful designed and very comfortable. In my opinion Tortue is the best hotel in Hamburg. Hotel Tortue is located in the Stadthöfe neighborhood, a nice area with beautiful buildings and many shops and restaurants. Spending 2 days in Hamburg, Germany is a perfect city break, with loads of things to do, places to visit, and of course (most importantly) amazing places to eat and drink. Hamburg surprised me and made me live a lot of contradictory feelings in just in a few days. The reason I say this is because the first thing I thought when I arrived in the city, was: “Hey, I thought I just left Amsterdam”. Hamburg has recently been awarded the title ‘Global Active City’ along with Buenos Aires, Lillehammer, Ljubljana, Richmond and Liverpool. Each of these cities have a focus on offering their residents the opportunity to choose active and healthy lifestyles. Hamburg is working to expand the sports infrastructure and provide access to facilities for the local community. What’s so amazing about a little town called Heiligenhafen in Germany, near the Danish border? I grew up near Cape Cod, Massachusetts, and this spot has to be a sister destination to New England. With boardwalk promenades, rolling waves, sea-grass dunes and nautically-themed businesses, this really is a beautiful place. Dressed in all white from head to toe, British electronic group Metronomy took the stage. Magenta and violet lights bounced off their white instruments as the crowd nodded their heads to the beat. 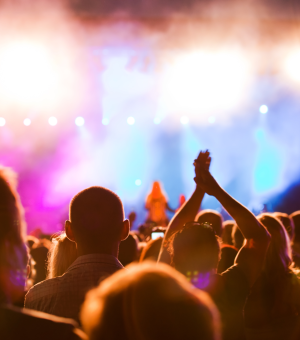 This wasn’t the first time an incredible international act graced the stages of Grosse Freiheit 36 in Hamburg, Germany, however. Reeperbahn festival Hamburg is a true gem not just for those in love with music but also for people wanting to discover Hamburg city. The biggest club festival in Europe, it is not one of those fests where everything is happening in one place out in the field somewhere. Are there cool things to do in Hamburg Germany? I’ve been fascinated by Hamburg ever since the contestants of The Amazing Race went there a few seasons back. A bit off the traditional tourist track compared to destinations in Germany like Berlin and Munich, Hamburg is a gritty port where old factory complexes have taken on new life making for an ideal city break destination. Hamburg is Germany’s second largest city and is not the most popular when it comes to planning your German tourist destinations, however, this eclectic, industrial city needs to be added to everyone’s Germany bucket list. Over the years I’ve had a chance to explore a many number of regions of Germany including big cities and smaller towns but there’s nothing quite like the experience I had in Hamburg. A guide to the best vegan food in Hamburg. We explore the most delicious vegan-friendly restaurants and cafes around St Pauli and other districts of Hamburg, Germany. Of all the music festivals I’ve enjoyed worldwide, it’s officially decided – Germany throws the best ones. MS Dockville in late summer is a laid-back gathering of dozens of international acts, ranging from hip-hop and folk to DJ sets and house. Check out our guide for 25 awesome things to do in Hamburg, Germany’s second largest city home to the Hamburgers (the people, not the food) and Europe’s second largest port city. Upon checking into my hostel in Prague, the desk attendant made the usual conversation by asking where I was coming from. When I told him Hamburg , he looked shocked and told me how he’d heard it was a gloomy and gray industrial city. I could’ve fallen to the floor because Hamburg was the exact opposite. It was sunny, bright, and beautiful, but maybe that’s because I went with zero expectations. Hamburg not on your destination wish list? Big mistake: this harbor city in the northern part of Germany is bustling with energy. I am an instant fan since this first visit. Of the relaxed Hamburgers, the impressive buildings from the past ànd the future and much, much more. Two days are perfect for a first impression, tag along with me and my rental bike on my Hamburg adventures. More than 50 years after the Beatles built the foundation of their musical legacy in clubs of Hamburg, Germany, it remains an essential pilgrimage stop for music fans. However, like other major German cities, the city is packed with museums, historic sites and cultural spots tailor-made for visitors of all ages. And then there are statistics showing an increasing number of U.S. travelers want their children to have a truly “local” experience at the vacation destination, and see for themselves what kids their age do for fun. Germany's second-largest city is rapidly overtaking Berlin as the nation's can't-miss destination. Hamburg is home to rich history, diverse musical and theatrical heritage, an active LGBTQ community, and, especially lately, some of Europe's most intriguing urban renewal. Travellers are obsessed with Hamburg right now, and the hype is with very good reason; Germany's most liveable city has a lot going for it. Bianc Restaurant in Hamburg Germany takes contemporary fine dining to a level that will make experienced foodies rejoice. Every element of the gastronomic journey is paved with intense thought and creativity. Hamburg has more bridges than Venice. Water isn’t scarce, neither from the sky or from the ground. If the sky stays dry you can use a stand-up paddleboard to stroll down the posh Eppendorf’s town canals, pretend to vacation on the beach at the Elbe or jog around the river Alster. Rain or shine, you should check out the harbour next to the architecturally stunning Speicherstadt. That’s a UNESCO world heritage site, where coffee sacks were already apparent in 1980, what later lead to the Speicherstadt Kaffeerösterei. Today, our dainty and cosy city, full of chic locals but also rugged streets and urban art has evolved its coffee roasting to the individual third wave standard. So if ‘water mingled with speciality coffee beans’ is your thing, then I recommend putting together your city guide from my eleven suggestions below. One doesn’t normally think that a German city will be inherently weird. I mean, it’s Germany after all, a country known for its stoic adherence to orderliness and things that just make sense. But the northern cities have always been a little bit separated from the rest of the country; proximity to sea routes bringing in customs and traditions from around the world. Because of this unusual history, Hamburg today is an unusual place, and I mean that in the very best way possible. It’s liberal, it’s quirky, it’s creative and it’s fun – what’s not to love? There’s a lot to see and do in this large city, but if you’re new to Hamburg these experiences are amongst my favorite and shouldn’t be missed. thebritishberliner.com - My fourth FAM / Press Trip to Hamburg – Holy Hamburg! So Hamburg. Yeah! 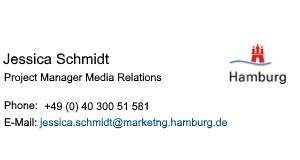 As you know, last week I told you about how I was invited to Hamburg, as a guest of Hamburg Marketing. What you don’t know, are the details of my press trip! thebritishberliner.com - Hamburg: An introduction to a port city! Moin! Moin! So I went to Hamburg a couple of weeks ago! And I was very kindly invited by Hamburg Marketing, to join them on a press trip. But OMG! I so need to go again! Are you headed to Hamburg but don't know where to eat and drink? * Well, look no further! I've compiled a list of 5 awesome places which offer more than just the typical Hamburg Fischbrötchen (fish in a bun - sounds weird but tastes great!). When we learnt that Hamburg polls as the ‘Happiest City in Germany’, we thought there would be no better place to experience December’s festive cheer than by exploring the city’s Christmas Markets. One thing we learned for sure is that the ‘Hamburgers’ do Christmas a little differently. In fact, Hamburg seems to wear it’s laid-back, non-conformist cultural identity as a badge honour – and maybe that’s the secret to their happiness! Don’t know your Santa Pauli from your Roncalli when it comes to festive Hamburg? Don’t worry, our Hamburg Christmas market weekend guide will have you sorted in no time. 2017 had a lot of great adventures up its sleeve for me and so far only few of them made it to the blog. As the year is coming to an end I would like to share some of the highlights with you. Before I will smash a huge monster recap up here on December 30th, a few special travel memories will get places of honor. Among the gifts, the Christmas holidays and the job which has to be accomplished, this end-of-the-year is synonym of stress which leaves us every year the same impression that the month of December flashed just as fast as it started. So, this time, what would you say if you take a time-out for a week-end ? What about Hamburg ? thewinegirl.de - Hamburg, you got me. There’s nothing better than being proved wrong on your preconceived notions. For me, case in point is Hamburg, Germany. Full of history, culture and an urban lifestyle, Hamburg is everything I didn’t know it is. My former German tutor had constantly told me how nice of a city it was and how I should visit. The first thing that greeted me when I arrived for Hamburg on Tour in London last weekend were a couple of smiling, oversized sailor statues outside the Boiler House venue in Shoreditch. Hard to miss! As was this free festival put on by the marketing team of the German port city of Hamburg for the first time in the UK. handluggageonly.co.uk-There's A Free Festival Coming To London! Autumn in London tends to be one of the quieter times of the year. You’re never quite sure what to wear – it starts to get a tad too cold to dine al fresco and the high of the summer’s events definitely start to wear off. Today I'm talking about why Hamburg is currently one of the coolest places in Europe to go exploring, and why you should be too. I was invited on a blogger press trip to visit the cities of Hamburg and Berlin. I can’t even begin to tell you how excited I was because since visiting Düsseldorf last year, I wanted to see more of Germany. Hamburg, the Hanseatic city in the Northern part of Germany was already since a while high on the gay couple's travel bucket list. And so, Karl and Daan decided to stay for three days in early summer. Hamburg is a coffee city. People here have been trading in coffee for 200 years now, and Second Wave coffee companies like Tchibo and J.J. Darboven were founded here. Youtube Channel "This is Hamburg"